The race for the NHL hockey betting playoffs is getting tighter every day. Therefore, it shouldn’t be surprising that tonight’s Edmonton Oilers vs. Calgary Flames matchup could have some postseason implications. Both teams are pretty far behind the playoff chase in the Pacific, but the Flames still got a shot to qualify. Let’s take a look at what tonight’s 5 team parlay odds are predicting for this Tuesday night matchup. Team captain Connor McDavid looks to lead Edmonton to their 4th consecutive win this week. The Oilers enter on a 3-game win streak following their triumphs over the Coyotes, Islanders and Minnesota Wild. Despite the fact that they don’t have much to play for currently, the Oilers are still putting up a fierce fight. This spells bad news for Calgary, who desperately needs to end the season on a high note. Nevertheless, the evening’s NHL hockey betting odds are still painting Edmonton as an underdog on the road. Unsurprisingly, the Oilers will be at a statistical disadvantage this evening. Edmonton comes in with the NHL’s 21st worst scoring offense and the 29th worst defense. For comparison; Calgary ranks 20th in the league in goals scored per game while they also rank 15th in goals allotted per matchup. The difference isn’t that staggering. But then again, it does paint the Oilers in a negative light. Barring some miracle from Connor McDavid, bettors can expect the Oilers to come up short this evening. 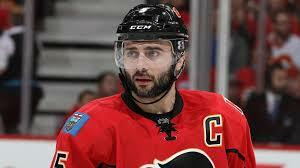 Mark Giordano, the Flames’ captain, is hoping to have an impactful performance this evening. Mostly because the Flames are coming off a 5-2 loss to the New York Islanders. As if that weren’t bad enough, Calgary is 2-5 in their last 7. Clearly the team needs a turnaround if they are to stand a chance of making this year’s postseason. Right now Calgary is sitting on a 34-26-10 record that ranks them 5th in the Pacific Division. But since the Flames are just 3-points away of tying with the 3rd-seed Los Angeles Kings, it’s clear Calgary still has a shot. 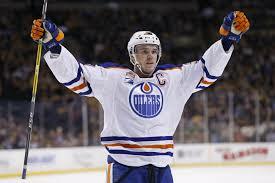 But can sportsbook players rely on them to get the job done in tonight’s Edmonton Oilers vs. Calgary Flames matchup? Johnny Gaudreau and Sean Monahan bring too much talent to the ice this evening. With that in mind, it’s clear that bettors should side with the Flames this evening. However, given the Oilers recent streak of upsetting teams, this one could go either way. But in the end, the odds out on Edmonton aren’t great enough to merit a bet on the underdog. This matchup is tough to predict because, although Calgary is the better team, the betting trends seem to favor Edmonton. Nevertheless, it seems a bit risky to place some action on the Oilers. After all, Edmonton is barely above .500. Ultimately, it looks like taking the Flames at home is the best option this evening. Sign up now to make this daring prediction! Score Prediction: 4-3 Calgary. The Flames get the job done at home but fail to cover the spread. The TOTAL will be OVER this evening.